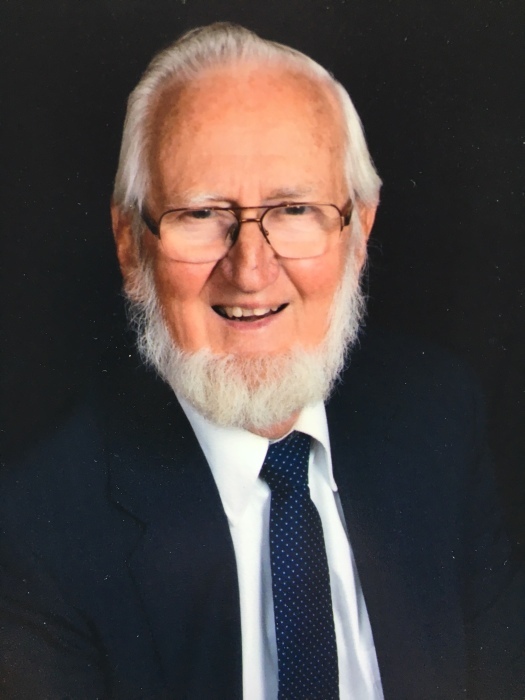 The Reverend Donald B. Hoyle, 84, of Mansfield Center, passed away at home on Wednesday, March 27, 2019 surrounded by his family's love. Born in Providence, RI, on November 10, 1934, he was the son of Elmer Spencer Hoyle and Sarah Amos Hoyle. What Don valued most in life was family. Following Don's example, those closest to him will continue to keep family values central in their lives. He is survived by Janis B. Hoyle, his beloved wife and partner in ministry of 57 years, his cherished children and grandchildren: son Douglas and his wife Pam and step-grandson Dan Holben; son David and wife Kristen and grandchildren Sarah, Emma, Anna and Ethan; daughter Christine and wife Sue and grandson Jesse. Don will be greatly missed. Don graduated from Ottawa University in Kansas, and received Master's Degrees from Boston University School of Theology and the University of Connecticut. During thirty-eight years as a pastor in active ministry, Don served United Methodist churches in Wakefield, RI, Putnam, Mansfield and East Hartford Connecticut. As a pastor, he enjoyed serving “unchurched” people, along with parishioners, and was always involved in the community. He was active in the civil rights movement, fair housing, and the war on poverty. Involvement in Interfaith dialogue began with the first statewide ecumenical service in Rhode Island and continued throughout his ministry. He participated in the Vietnam anti-war movement and women's rights and initiated the first Head-Start program in his area. He served as a marriage counselor and taught courses in Parent Effectiveness Training and Adolescent Psychology at the local community college. Don was a volunteer chaplain at Eastern Connecticut State University and helped to organize a local anti-poverty action group, Windham Area Interfaith Ministries (WAIM) which now has the support of thirty-nine faith communities. During his last pastorate in East Hartford, he helped organize the East Hartford Interfaith Ministries modeled after WAIM. Serving as chair of the interfaith human needs fund kept him involved with those in need. In retirement, Don felt a strong calling to work for environmental justice. He passionately spoke, taught, wrote and lived in ways that raised awareness of the many problems and possible solutions related to climate change. He knew that God would not leave us comfortless and that if we worked with God and nature the problems could be solved. In Don's memory and honor, the family asks that each of you become more aware of ways you can care for our planet, Mother Earth, and continue the work that was vital to Rev. Hoyle. Calling hours are at Potter Funeral Home, 456 Jackson Street, Willimantic, CT on Friday, April 5, 2019 from 4:30pm to 6:30pm. A celebration of his life will be held at the Storrs Congregational Church, 2 North Eagleville Road in Storrs/Mansfield, CT at 2:30 pm on Saturday, April 6, preceded by burial in Mansfield Center Cemetery at 10:00am. The family welcomes your participation in any or all of these as you are able. In lieu of flowers, please consider donating to www.joshuatrust.org, or any conservation and sustainability organization of your choice. For an online memorial guestbook please visit www.potterfuneralnome.com.